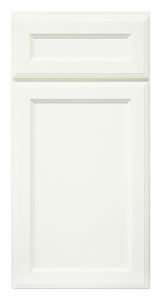 Our Hampton door is a bright white Shaker door with eased waterfall edges. It is part of our Choice Premier line®. Hampton is a sophisticated yet timeless door style. It complements any color palette. 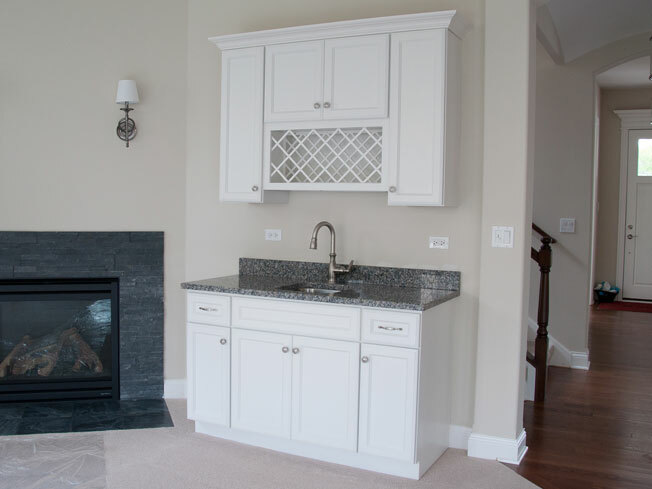 Check out our Hampton Design Ideas below. Hampton is a full overlay door with a recessed, wood veneered center panel. 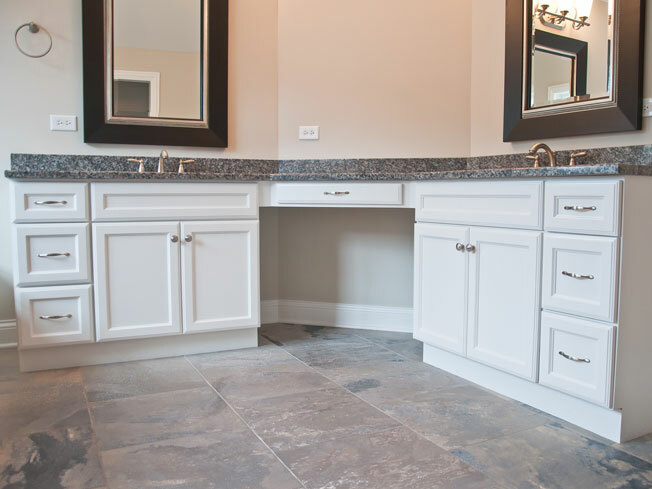 The soft, beveled edges blend between traditional, transitional, and contemporary styles. The full overlay and decorative edge style carry over to both the door and drawer. A solid hardwood frame and plywood cabinet box offer quality and durability. The panels used for the cabinet box are a 5/8” furniture-grade plywood with wood veneered interior. As part of the Choice Premier® line, the soft close hinges and glides come standard. A Shaker door makes cleaning a breeze. Because it lacks an inner profile, there is less to clean. Its timeless design is another advantage. 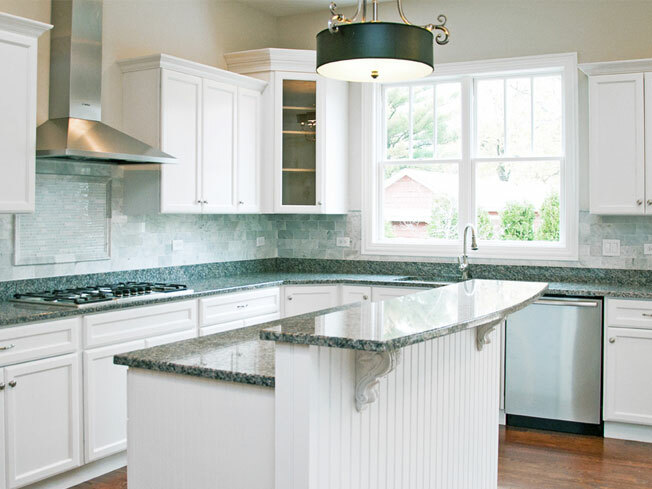 A Shaker door is adaptable to several kitchen styles. 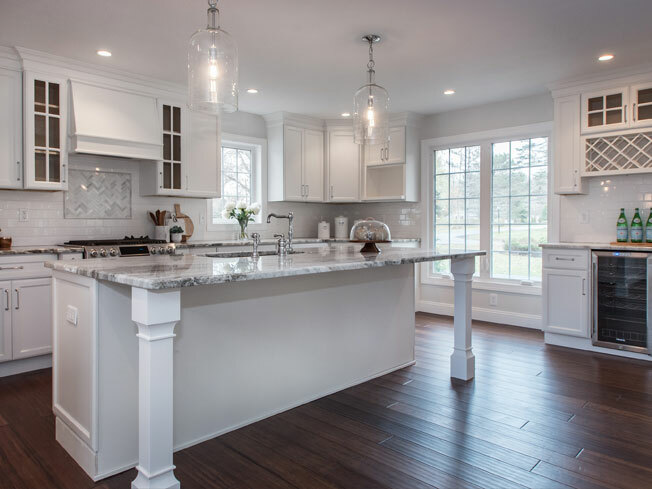 Since Hampton is a white Shaker door, it works well in a traditional setting or a contemporary space. Hampton is a multi-faceted door style. 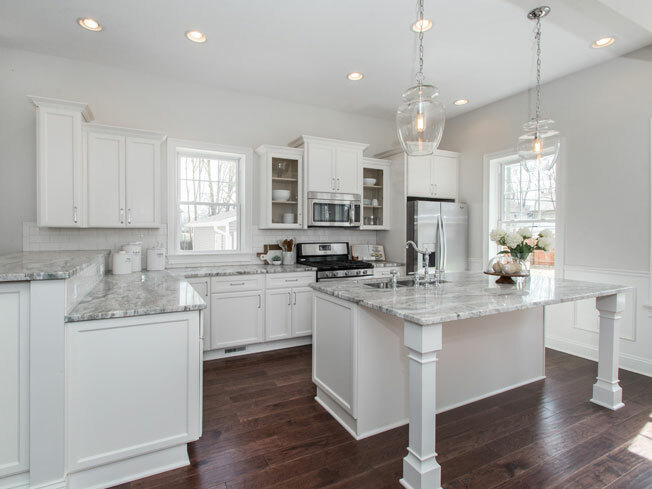 This bright white Shaker door works well with neutral, bright, or bold colors. Create a calming space with a beige or muted color. Design a beach-themed room with teal or turquoise. Go bold with a navy or cranberry. No matter what you choose, Hampton can reflect you and your style. Consider Hampton with our other door styles. 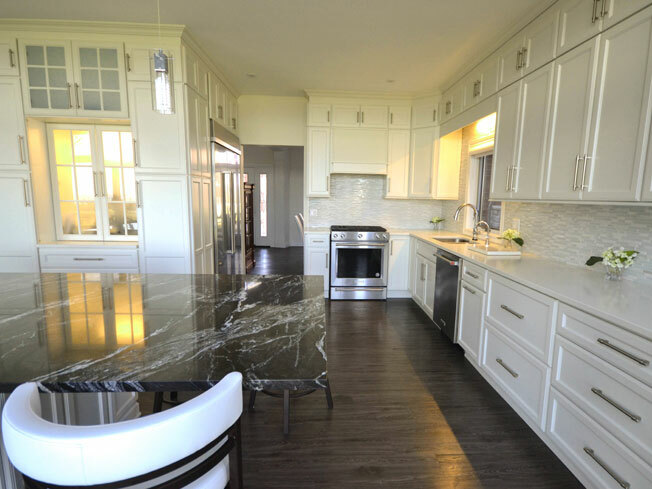 Pair a white Hampton kitchen island with a white Aspen kitchen. 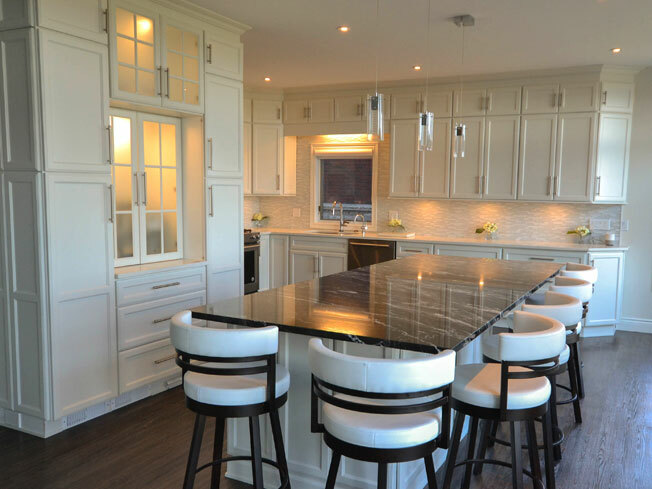 The decorative styling of Hampton allows the island to become the focal point. Let Hampton be your elegant background for your Driftwood or Vista island. Hampton has the ability to work with our Choice Select® line as well.